Over the last couple of days I made these cute baby girl beanies. 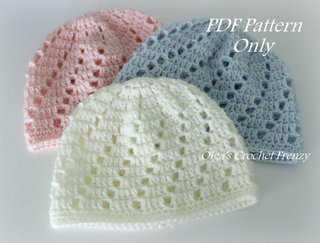 The original pattern was from a Russian magazine, but it was for an adult beanie, so I had to adjust the pattern for baby size. 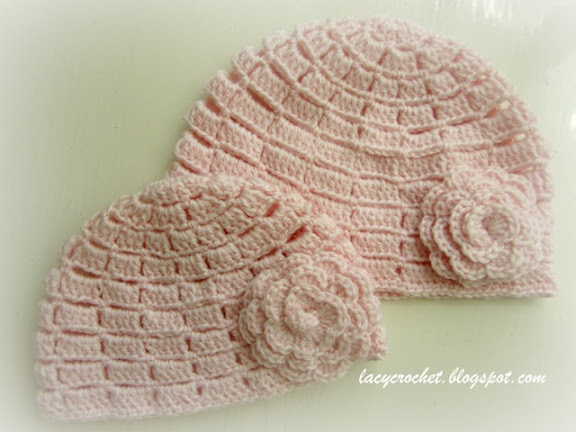 I made one beanie in size 0-3 months and the other one in size 3-6 months. 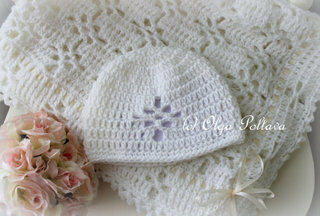 As I attached the crochet flower to the first beanie, I also added three pearl beads in the middle of the flower. It looked super cute! But in the end, I decided to go without beads. In terms of safety, babies and beads are not compatible. 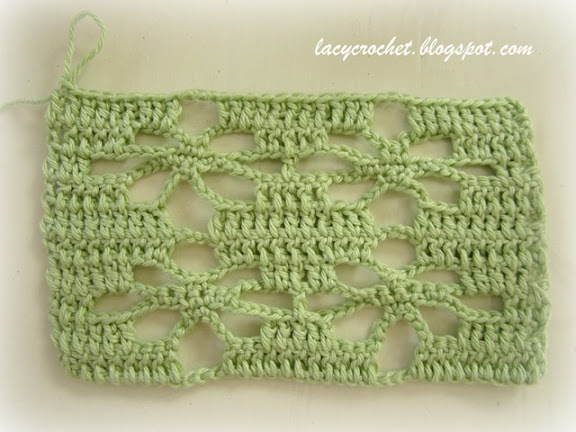 Spider stitch is quite popular among crocheters. 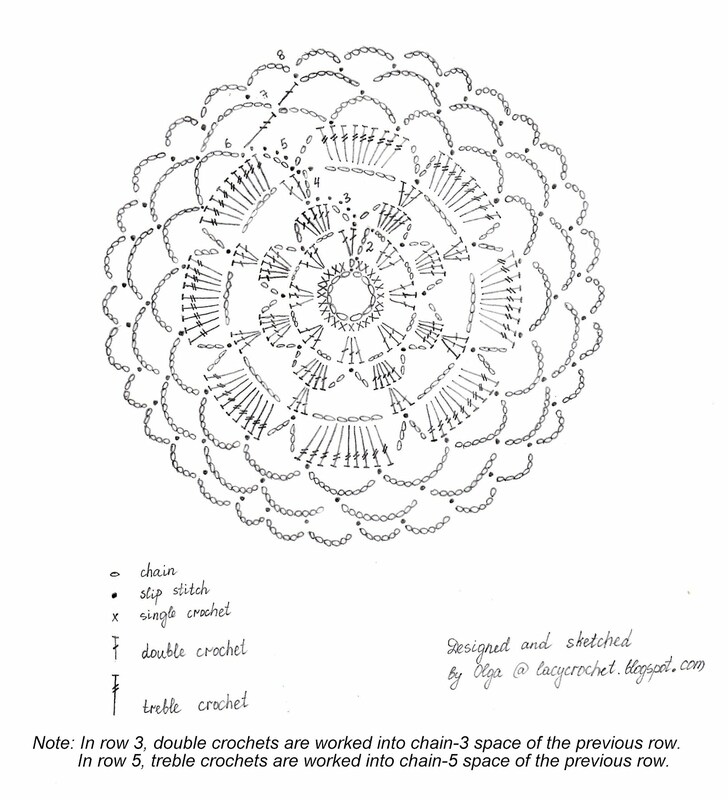 It is often used for shawls, afghans, baby blankets, cardigans, and other yarn crochet projects. 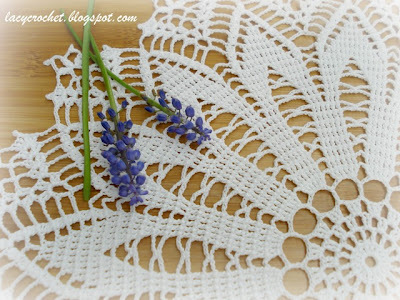 Also this stitch looks beautiful when done in thread, for example, in doilies or lacy trims. There are countless variations of the stitch, and it can be made in various sizes. Does this crochet stitch sound fascinating to you? It does to me! 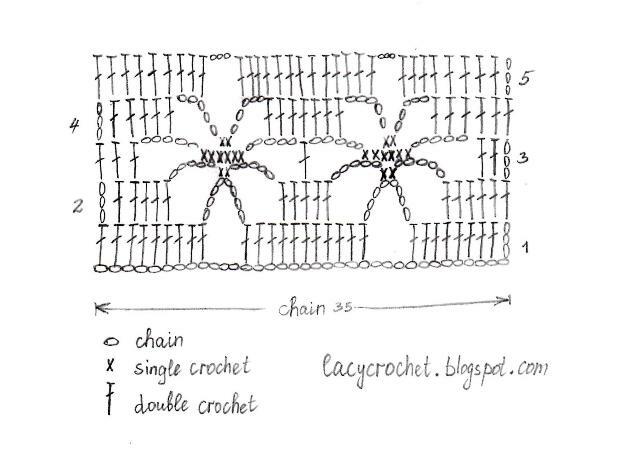 I am starting a series of posts dedicated to exploring spider stitch. My plan is to share symbol charts, show my crochet samplers, and perhaps suggest some projects to make using this stitch. I don’t know how many posts there will be and how often I will post them, but I am very much looking forward to it. I truly hope this series will be useful to my readers. Since I started this blog last November, I have provided my readers with lots of inspirational material in terms of finished projects. 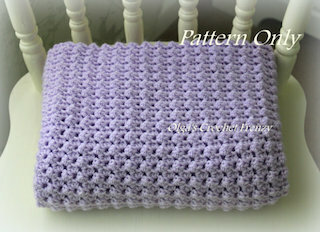 But now I am trying to find ways to share some practical crochet information. Let’s start with the name. To be honest, I only recently learned that this stitch is called Spider Stitch even though I’ve known how to crochet it for a decade or so. My mom taught me this stitch just as many other fundamental crochet stitches. It’s evident that the stitch is named so because of its resemblance to spiders. The name is not very flattering (who doesn’t despise spiders? ), but it is a descriptive one. I made a fairly easy sampler of four “spiders” and sketched the symbol chart. I chose my “spiders” to have eight “legs”. The symbol chart is for one line of “spiders”. But if you would like to crochet more (for instance, two lines as in my sampler), you will need to continue your work repeating from row 1. If you would like to have more spiders in one line, you will need to start with additional chain 15 for each additional “spider”. 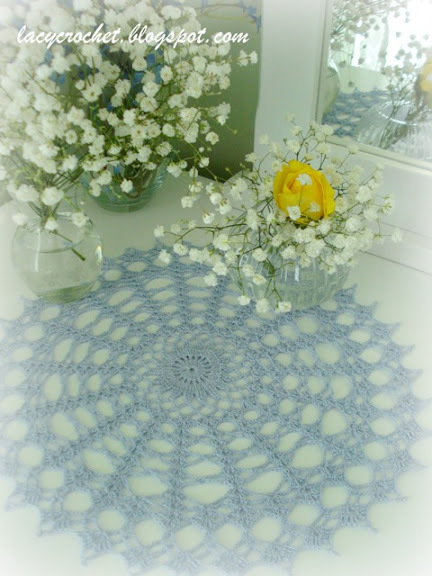 This is another vintage doily that my mom made many years ago. 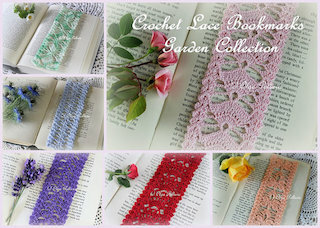 The crochet thread is very thin, and from many washings the doily has become very soft. 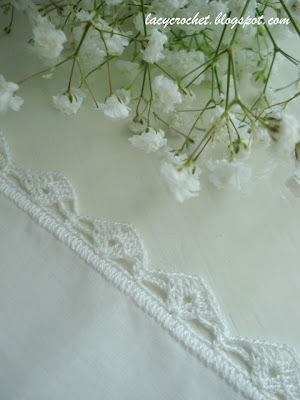 I usually starch and iron the doilies I make, but I keep my mom’s vintage doilies soft and shabby. I haven’t crocheted any new doilies for quite a while. 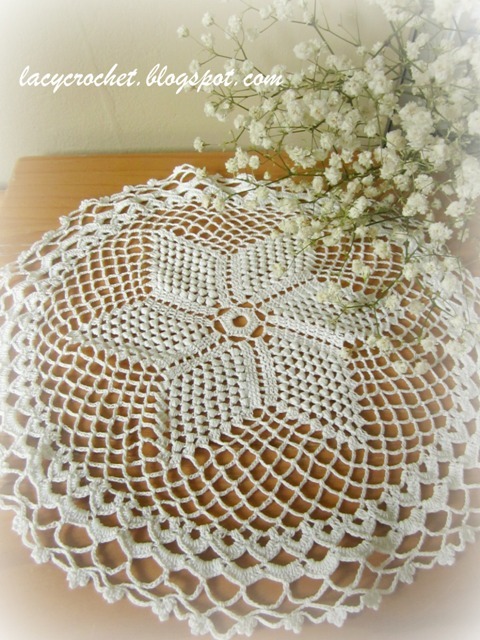 I’m afraid I will run out of doilies soon. 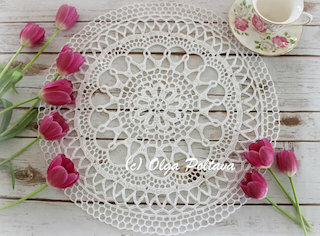 I could never get tired of looking at doilies though, and I really love my Doily of the Week blog feature! 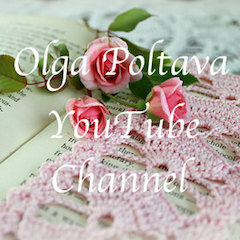 So I want to ask if any other doily crocheters would like to share their work on my blog. You can e-mail me a picture of your doily and I will gladly post it. 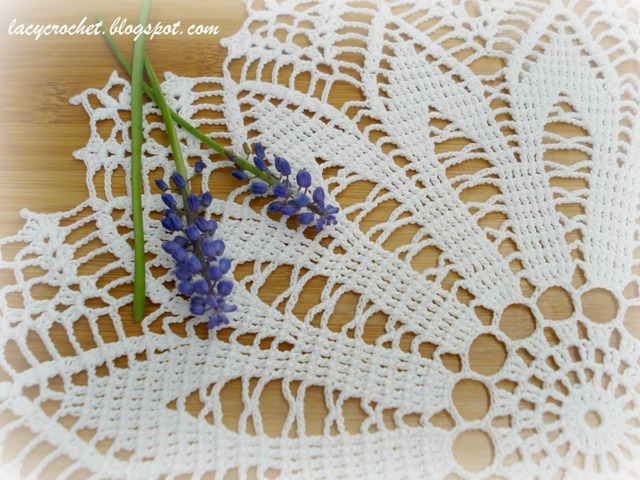 You can add a story of the doily if you wish. 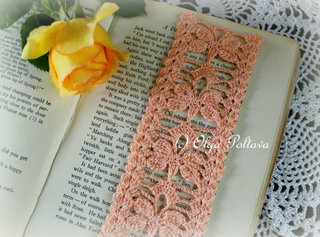 Also, if you have a blog or web site, I can link the post back to your blog/site, so Lacy Crochet readers can see your other crochet work. The picture has to be taken by you (not a copy from a magazine or the Internet). 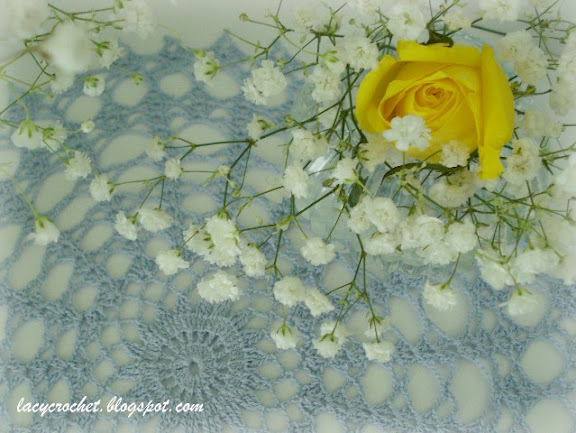 By sending me the picture of your doily, you grant me the right to post it on Lacy Crochet only. If you want me to link to your blog/website, indicate so in your e-mail and provide me with the html address. You can find my e-mail address in my profile. 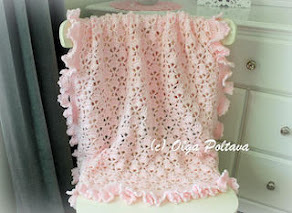 Please, help me keep Doily of the Week alive! 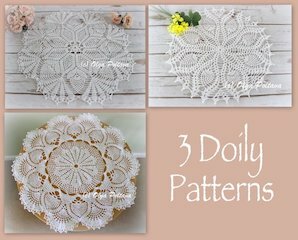 I haven’t made any new doilies in a while, so today and the next few weeks I will be showing vintage doilies that my mom made in her youth. 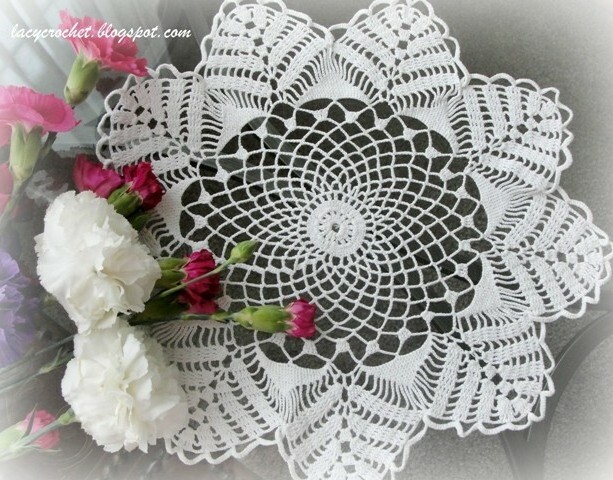 She brought these doilies to America when our family immigrated here from Ukraine. I remember when I was a little girl I admired these pretty doilies. And I am glad that I have them now. Last year I bought a bunch of new handkerchiefs at a small local shop that was going out of business. And now I enjoy adorning them with lace edgings. 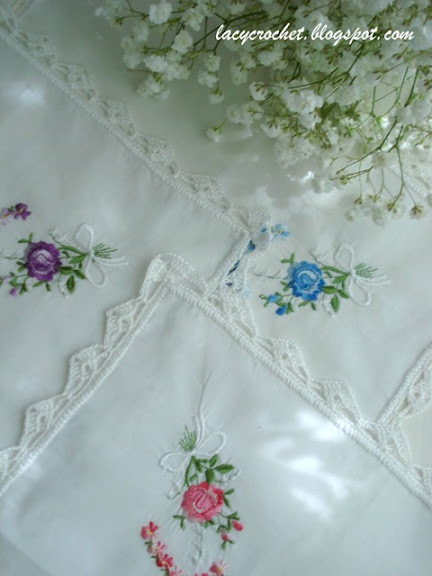 The hankies were quite pretty on their own, but the crocheted edgings added a special romantic charm! I wasn’t very creative and just used the same edging pattern that I used before. I think a pretty and feminine handkerchief could make a lovely Mother’s Day present! 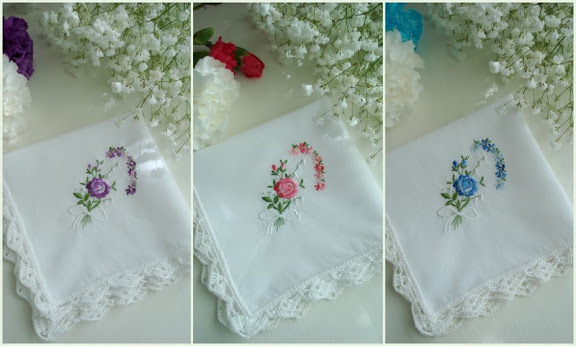 I am going to keep one of these hankies to give my mom on Mother’s Day, and I am going to put the other ones in my Etsy shop. 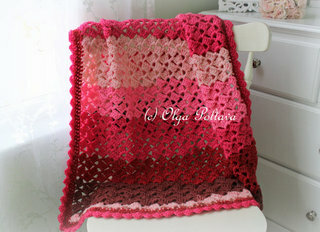 And I am now searching for other simple Mother’s Day crochet presents to make. Any ideas? My love for doilies is not a secret. And you probably think that doilies are all over my home. Not really. I do have a drawer full of doilies! But only occasionally I pull out one or two of them to create a holiday vignette or to adorn my table when I’m expecting a girlfriend for tea. 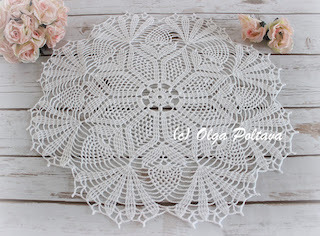 However, there is one doily that is on display all the time. 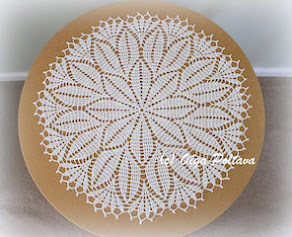 This round doily resides on my dresser. My bedroom is decorated in white, blue, and green colors. 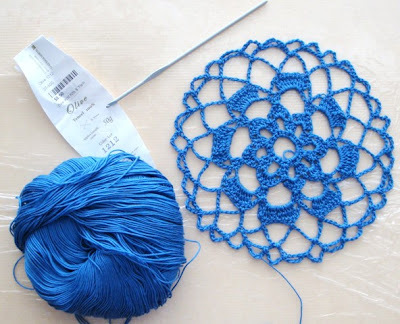 So this blue doily fits in perfectly. 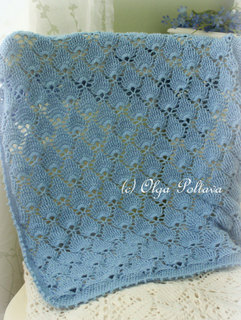 I think I will make an identical, but perhaps a bit smaller in size, blue doily for my night stand. The other day, I was feeling rather blue. 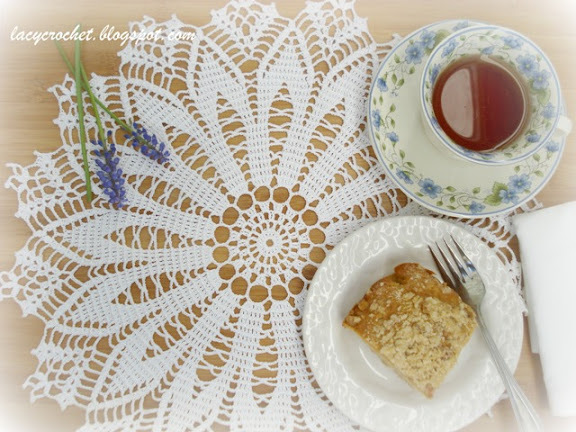 So I pulled out one of my doilies, made a cup of tea, and allowed myself a piece of coffee cake. My spirits went up instantly! I'm joining Sandy at Rose Chintz Cottage for Tea Time Tuesday. 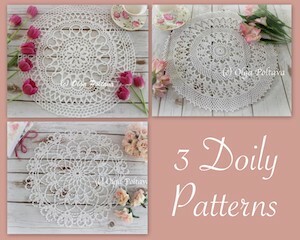 Back in February, I promised to post a chart for a doily coaster that I made (you can see that post here). 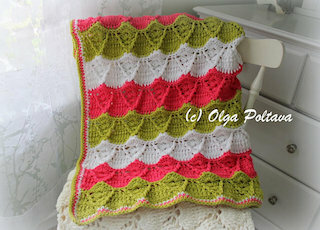 I want to thank fellow crocheters from Crochet Partners Yahoo group who tested my chart. Chris made a couple of valuable suggestions, and Margaret even sent me the picture below (she used Olive Tencel yarn by Seorim Woolen Co. and 2.75 mm hook).